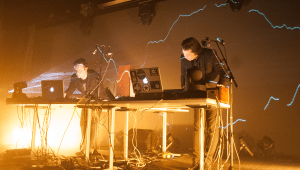 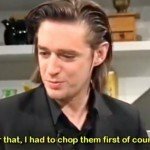 (By our Norwegian correspondent Jan Ronald Stange) In August we posted a story about an upcoming evening of Kraftwerk and Apoptygma Berzerk, and this actually turned out even better than imagined! 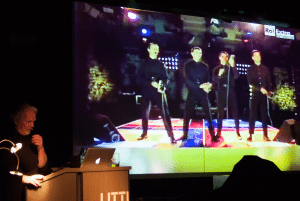 Not only was the event in Fredrikstad a huge success, but the whole concept also expanded to the other side of the Oslofjord the night before, in the city of Drammen, headlined by x-Kraftwerk member Wolfgang Flür. 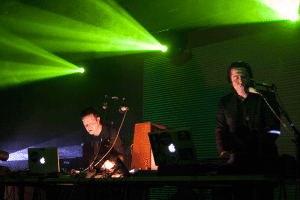 The Drammen event also had the local band Lüstwerk playing Kraftwerk songs, doing a fair act on drums, bass, guitar and synth, but could have rehearsed their German a bit better. Finally Wolfgang Flür entered the stage, doing a DJ set with a big backdrop showing videos and stills from his long career as a “Musik soldat”. And by the choice of music and how he moved about on stage, no one would suspect that this was a 68 year old man – quite impressive! 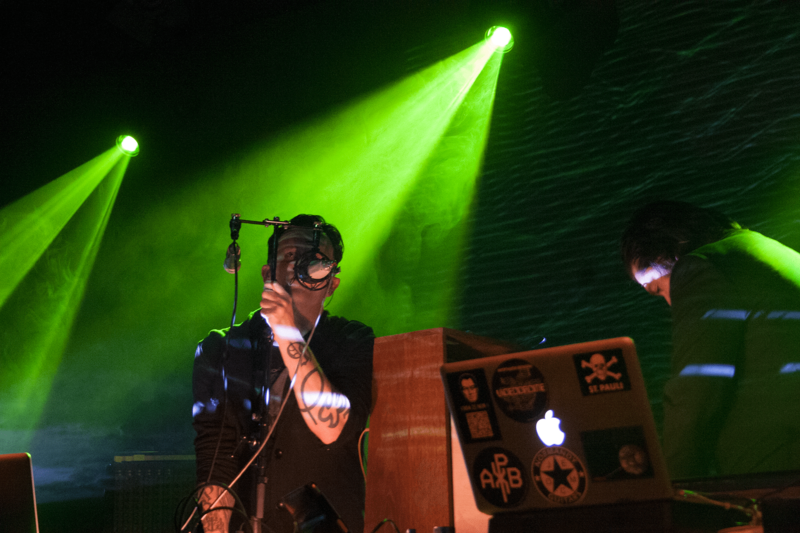 Saturday evening in Fredrikstad concluded with a highly anticipated Apoptygma Berzerk mini concert, the band for this occasion consisting of Stephan Groth, his brother Jonas, and lots of electronics. 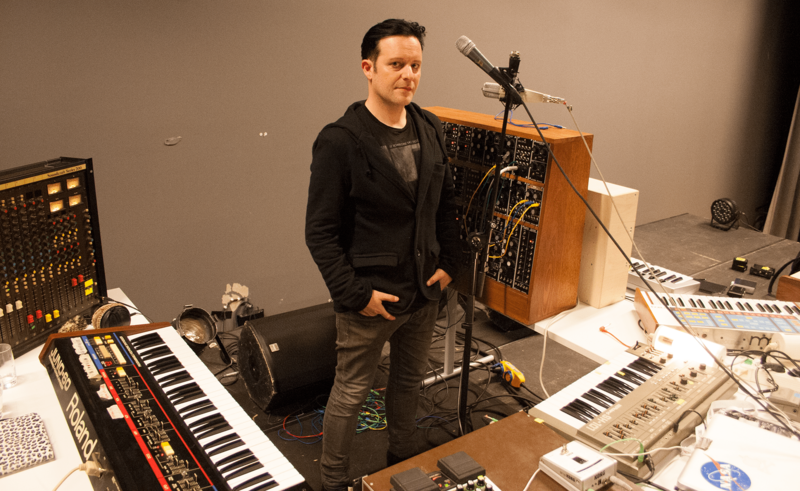 And the equipment was rather vintage too, as I was told when speaking to Stephan after the concert. 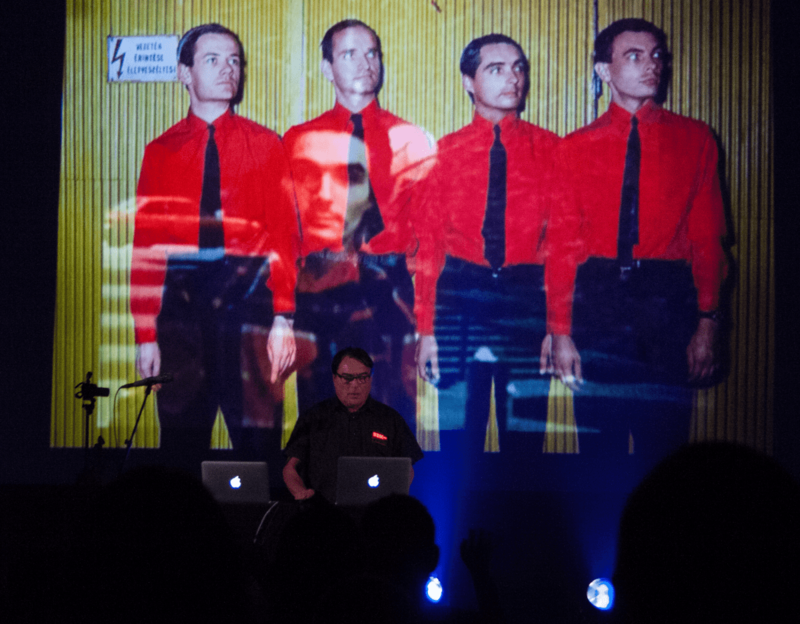 We’ll end the wrap-up of this great weekend of Kraftwerk hoping there’ll be more events like this!